My little nephew Max turns ONE today! I can't believe it's already been a year - I feel like it was just yesterday that I was talking about Hanna's Baby Shower on this blog. We are celebrating this weekend, fiesta style, and these are the invites I made for his party. Happy Birthday MAX! These invites are BEAUTIFUL! Great job! do you have a template for these? how did you make fringe? How can I make these? These are great! Is that tissue paper sewn on there? Hi! I love these- do you do commissions? 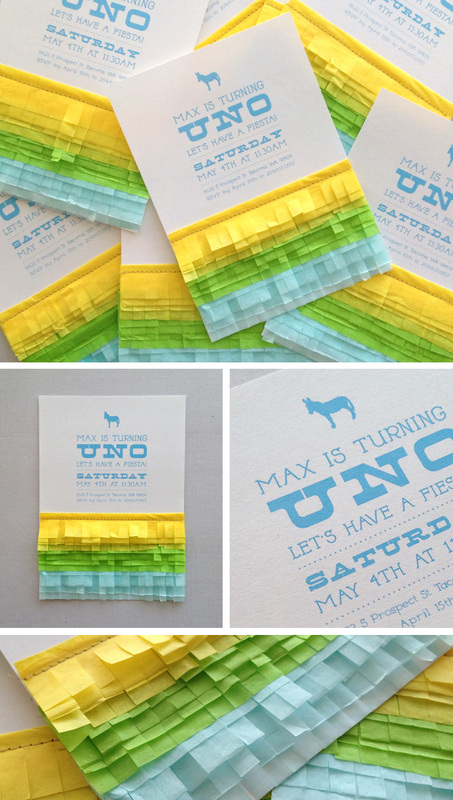 I'd love to have these as the invite for a baby shower I'm hosting! My email is nicolecrabtree@gmail.com . Thanks!